Snap Inc. gets the ticker symbol “SNAP” on the New York Stock Exchange when it starts trading Thursday. Snap priced its initial public offering of 200 million shares at $17 each. The IPO values the Los Angeles company at $24 billion. The company officially started its bid to go public last Halloween. Snap’s is the first tech IPO of the year and the largest tech deal since Alibaba went public in 2014. Its IPO is one of the most anticipated since Twitter’s debut in 2013. Twitter shot up nearly 73 percent on its first trading day and now trades much lower than its IPO price. Facebook saw its stock fall in the few months after going public, but is now trading at more than three times its IPO price. Snap’s cofounders, Evan Spiegel, 26, and Robert Murphy, 28, rang the opening bell on the exchange Thursday. At the IPO price, Spiegel’s stake in the company is worth about $4.5 billion. Murphy’s stake in Snap is valued at roughly $3.9 billion. Spiegel and Murphy will retain controlling power over all matters regarding the company. The Class A stock being sold in the IPO has no voting power. However, Spiegel’s and Murphy’s shares will continue to have voting power for nine months after they die. Snap’s popular messaging app Snapchat is best known for disappearing messages and unusual facial filters for selfies. Teenagers and younger millennials seem to love the app, as most of Snapchat’s 158 million daily active users are people in their teens, 20s and early 30s. According to Nielsen, it is used by roughly half of 18-to-34-year-olds, nearly seven times better than any TV network. However, its user growth has slowed down in recent months. After adding 36 million daily active users in the first half of last year, Snapchat added just 15 million in the second half. Daily users open the app 18 times a day for a total of nearly 30 minutes. 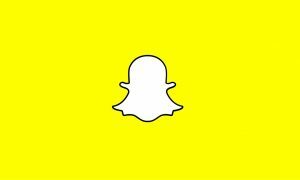 Snap said its biggest revenue opportunity is the quickly increasing budget for worldwide mobile advertising. It is estimated that mobile advertising could reach $196 billion globally by 2020, up from $66 billion now. Last year, the company lost $515 million on revenue of $405 million. It earned $58.6 million in revenue in 2015. Since it was launched in 2011, Snapchat has been a viable competitor to companies like Facebook and Twitter. It has also been an acquisition target for some of the biggest players in the industry. Facebook offered $3 billion in cash for Snapchat in 2013. The company also rejected a $4 billion offer from Google. Landsberg Bennett & Dubbaneh LLC Acquires Shares of 4,755 Las Vegas Sands Corp.